The 24/7 campaign is an initiative to help all schools in Virginia understand, adopt, implement, and enforce comprehensive tobacco-free policies. 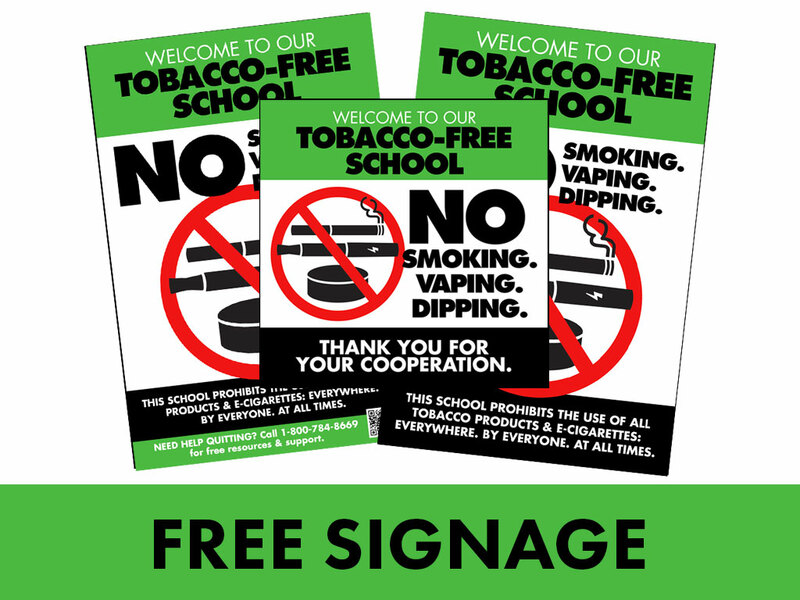 Comprehensive policies support a school environment that is 100% free from tobacco products — including electronic cigarettes — 24 hours a day, 7 days a week. This type of policy is critical to creating a 100% tobacco-free learning environment for students. For more information about the comprehensive standard, take a look at our comprehensive policy checklist. 24/7 helps school divisions understand what the requirements are for a comprehensive tobacco-free policy; provides support for passing a new policy through the school board; and provides ongoing technical assistance to ensure schools are able to communicate and enforce their policy. 24/7 is invested in helping every Virginia school division protect its youth from the harms of tobacco. The 24/7 campaign is a program of the Virginia Foundation for Healthy Youth and Y Street, Virginia’s largest youth-led movement. Comprehensive tobacco-free policy: Current Virginia law requires every school division to have a tobacco-free policy, but many policies have loopholes. Comprehensive tobacco-free policies prohibit the use of any tobacco products and electronic smoking devices anytime, anywhere, 24 hours a day, 7 days a week by anyone on the school buildings, on school property, or at any school-sponsored event, including off-site events. For more information about what qualifies as comprehensive, take a look at our comprehensive policy checklist. Communication: When people know the rules, they are much more likely to comply with your new policy. Communicate your policy not only to students, but to parents, staff and visitors as well. Compliance and enforcement: A comprehensive tobacco-free policy details the consequences for first-, second- and third-time offenders. It is up to school administration to make sure rules and consequences are consistently enforced. Cessation and support: Schools must provide referrals to cessation support services to support tobacco users who need help quitting tobacco. Contact the 24/7 campaign for more information or to get involved: info@247CampaignVA.com. This toolkit is based off of the 24/7 New Mexico Tobacco-Free Schools Toolkit, prepared by Santa Fe Public Schools, and the hard work of North Carolina Tobacco-Free Schools. Y Street and the Virginia Foundation for Healthy Youth thank Santa Fe Public Schools and North Carolina Tobacco-Free Schools for their help to create tobacco-free schools.